The experimental and alternative theater movement that began in the 1960s and 1970s continues to make an important contribution to the arts in the United States and has embraced a wide range of noteworthy performances. Many of these events have been concerned with social or political issues, some have explored unusual staging methods, and others have looked inward to examine the nature of consciousness, perception, or the structure of thought. El Teatro Campesino, Robert Wilson, Richard Foreman, and the Bread and Puppet Theater. That work continues to be a classic in the field of theater studies. 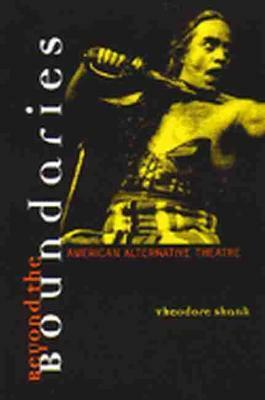 Beyond the Boundaries enlarges and updates American Alternative Theatre, examining the ways that the genre continues to affect contemporary theater. It describes the young theater artists of the 1990s as looking to the 1960s for role models, and sees that the recent resurgence of derivations of 1960s and 1970s alternative theater have arrived with a sharper, more cynical edge. Theodore Shank is Professor of Theatre and Dance, University of California, San Diego. His books include The Art of Dramatic Art, Contemporary British Theatre, Contemporary Experimental Theatre, and Theatre in Real Time. "Not just a lesson in criticism, it winds up as an inspirational how-to manual on creating experimental theatre. . . . [A]n indispensable account of major theatrical visionaries who have changed the ways we see the stage." Theodore Shank is Professor of Theatre and Dance, University of California, San Diego. His other books include The Art of Dramatic Art, Contemporary British Theatre, Contemporary Experimental Theatre, and Theatre in Real Time.